Every car manufacturer creates a preventive maintenance schedule or a service schedule for their vehicles as a way to show future maintenance needs and corresponding mileage intervals. Manufacturers use these schedules to demonstrate the expected cost of owning the vehicle. Car maintenance schedules are blanket schedules which dealers take as final authority. Unfortunately, the manufacturer does not take into consideration the unique road conditions of a place like Phoenix, often leaving gaps in scope of care and opening up owners to under or over servicing a vehicle. Our customers have come to appreciate the real-life car maintenance schedule that we operate off of which takes into full account the harsh weather and dry climate of Phoenix, Arizona, keeping each vehicle running at its optimum through preventive maintenance. Obviously, not following a car maintenance schedule or following an incorrect schedule, opens you up to those larger scope repairs. One maintenance standard that hasn’t gone away is a vehicle needs to have the oil changed regularly, typically every 5,000 miles. Each mileage interval of our Preventive Car Maintenance Schedule includes a standard oil change in addition to accompanying service recommendations. These service recommendations are specific to your vehicle and its current mileage. Using our Preventive Car Maintenance Schedule you can anticipate what we will recommend and when, making the process of working together very transparent. It should be noted that there will always be exceptions to any schedule. To account for these exceptions, we have created a standardized inspection process. During each visit, including routine oil changes, we utilize a 19-point inspection and, during milestone mileage service, a 33-point inspection. These inspections reveal if there are any services, maintenance items or repairs which may need attention ahead of schedule or can be postponed for the future. This is a major value that a professional auto shop like Highline Car Care can provide. Our primary value is providing the right service at the right time; our Preventive Car Maintenance Schedule gives our customers a real life car care timeline. Our 19 and 33 point inspections ensure that our technicians will identify plenty of potential issues occurring out of a recommended mileage service. Manufacturers use the car maintenance schedule to display an overall cost of ownership to prospective buyers. When buying a vehicle a consumer needs to weigh the initial cost of purchase as well as the cost of owning the vehicle over five, ten or even fifteen years. In the same way cell phone manufacturers measure battery life, camera quality and overall speed in ideal circumstances to better market their product, car manufacturers do the same with their car maintenance schedules. In the perfect driving environment and circumstances, the manufacturer’s car maintenance schedule offers a best case scenario set of guidelines. 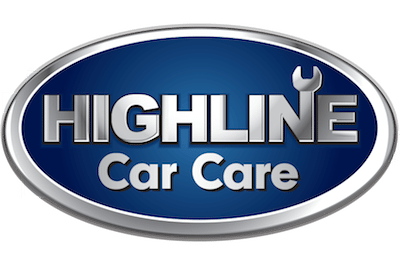 Since the opening of Highline Car Care in 2009 we have witnessed one major variable in Arizona throw off the manufacturer’s recommended schedule. That’s right, the weather. Our hot and dry climate places unique stress on vehicles, leading to certain parts and peripherals needing repair long before the manufacturer would recommend having them serviced. When visiting the dealership for mileage service, they will quote an owner on receiving the manufacturer’s recommended service through a pre-determined package. As you near a milestone mileage marker, you’ll typically receive something in the mail itemizing a rundown of all they would like to do on your vehicle. After scheduling an appointment, you arrive at the dealer for that prepackaged service and are then assigned to a random service agent who acts as a liaison between you, the mechanic/s and the dealer cashier. The mechanic will see which package has been ordered and proceed to perform the package maintenance regardless of your vehicle’s individual and unique needs. Your service agent will then give you a list of additional items to fix while you’re already there which fall outside the scope of the pre-printed flyer you initially received, increasing the amount you expected to pay during the visit. Although it sounds like we’re down on dealers, the truth is, they have to operate in the manner described above because they have to get through hundreds of cars every day. They don’t have time for the technicians to speak with vehicle owners. There isn’t time for the customer to see their vehicle and walk through the repairs. The customer service agent doesn’t have the time to take pictures of every vehicle’s inspection, then go over it with the customer. 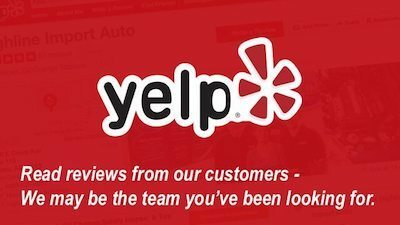 An independently owned auto repair shop has the autonomy to create a customer experience that larger service centers aren’t able to provide. For instance, we have built into our everyday customer experience an opportunity for vehicle owners to walk out into the garage to look at their cars. Our front desk team speaks directly to our team of technicians regarding every vehicle. As previously mentioned, our primary value is providing the right service at the right time. Our goal is to make sure that your car receives exactly what it needs – no more, no less. We will educate you about future expectations for care, and provide plenty of opportunity for you to ask questions, look at your vehicle and understand exactly what to expect in terms of work and cost for that day. Every effort is put into delivering exactly what you need and being transparent and upfront during the process. We’ve already hinted at how every car is different, and an accurate car maintenance schedule needs to take into consideration the current state of the vehicle. In the sections above when describing recommended care, we’ve used words like “probably” and phrases such as “most likely.” Why? Every car is different. Every driver uses their vehicle differently. Just as there are instances where service may be needed prior to a recommended mileage interval, there are instances where we will recommend postponing service because the vehicle doesn’t need it. As an example, on one occasion we had a Toyota Sienna in for a 30,000 mile service and one of the items we routinely service at 30,000 miles is a brake fluid flush. Upon inspecting the brake fluid it was clear that the flush wasn’t needed. Would the brake flush need to be done in the coming 12-months, probably. However, at the time, the vehicle didn’t need the service so we were able to postpone it. When you’re sold a pre-packaged service or repair, the auto repair work goes from customized to cookie-cutter. We believe that each car should receive individualized attention done quickly, efficiently and accurately – always with safety in mind. Not only is this our belief, it is also what we deliver. The car maintenance schedule we have created fits nearly all makes and models. There are a few exceptions, such as European vehicles, particularly those which are high-performance machines. With most makes, 90,000 miles represents a start-over point as far as the car maintenance schedule is concerned. Repairs such as shocks, struts, timing chains will eventually need to be done, however, those repairs do not fall under the preventative care model. Once you hit 90,000 miles, your next service will be a standard 5,000 mile oil change. There will be some variance in care, but between using our preventative car maintenance schedule and our technician being familiar with your vehicle from the first 90,000 miles, you will be in good hands as you cross over the 6-figure mileage marker. Since we opened our East Valley automotive repair shop, we routinely speak to vehicle owners who want to know the cost to service their vehicle before we see it. We understand the importance that cost plays when choosing an auto repair shop which is why we have made the decision to not provide quotes over the phone. This approach has allowed our team to establish a higher level of trust and relationship with our customers. Providing quotes over the phone, not having seen the vehicle, begins the relationship on speculation and money. We want to begin a relationship on the facts of a repair with clear expectations for a solution, timeline and cost. Most car owners do not want to become car experts – they simply want to be able to make expert decisions about their vehicle. Having an understanding of how a car maintenance schedule works and its purpose, puts you in the driver’s seat and gives you a roadmap of what to expect as a car owner. You are invited to schedule a visit with our shop. We would be honored for the opportunity to meet you, learn about your vehicle and share our approach to auto repair and customer care. Vehicles that are Rear Wheel Drive or All Wheel Drive may have fluids replaced. Complete Cooling System Flush, Use proper equipment to evacuate coolant, refill with the correct Antifreeze for the specific vehicle and use a two part solution cleaner/conditioner for system protection. Complete Power Steering System Flush(use of proper equipment to flush out Power Steering Fluid and refill with the correct power steering fluid for the specific vehicle.